In many ways its yellow that started off this entire project. Back in 2015 during the Fringe Fest I adopted an Irish word as part of a performance installation done by Manchán Magan. The word was 'Buíóg', I still have the card I got that day. It was translated as a sallow complexion, but when I did some researching I found out it's also a name for a beautiful Irish bird, the yellowhammer. And as it turns out, while this bird is sadly in decline, the greatest numbers of them can still be seen along the stretch of east coast Ireland that I grew up in. 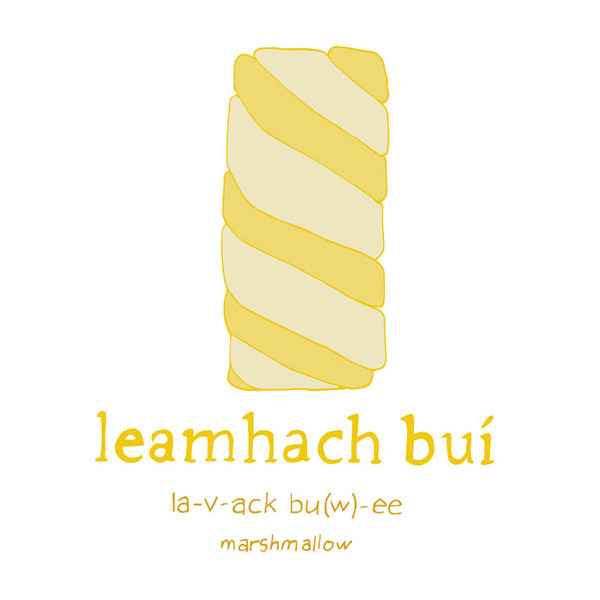 Seeing the root of the word as 'buí, yellow, got me curious about how colour is used in Irish. I picked out a few of the words to explore a little deeper. 'Buíochan' introduced me to an English word i'd never heard before, flavescent, which means turning yellow. This colour change in Autumn in Ireland can look like someones messing with the hue and saturation levels in Photoshop, is probably my favourite time of year. Parks in Dublin become painted with colours ranging from pale green to bright red and every shade of yellow in between, not to mention a good autumn breeze makes those falling leave glitter. I came to appreciate this time of year when living in Japan. The ‘kouyou’ / 紅葉 season in Japan is incredible. Entire mountains can turn red or yellow from this 'buíochan'. Its a breathtaking site to walk around a yellow ginkgo forest in Nara through a shower of yellow leaves. One main difference here is the light, dusk is stretched out longer and creates those magical red colours in the sky and mystical shadows in the trees. 'Bileog' can mean the leaves of a flower or the leaves of a book, which I think is a nice way to think of flowers in general. Petals is a different word altogether 'peital'. I think I will stick to 'biloeg' when talking to my flowers (it makes them grow more I swear!) 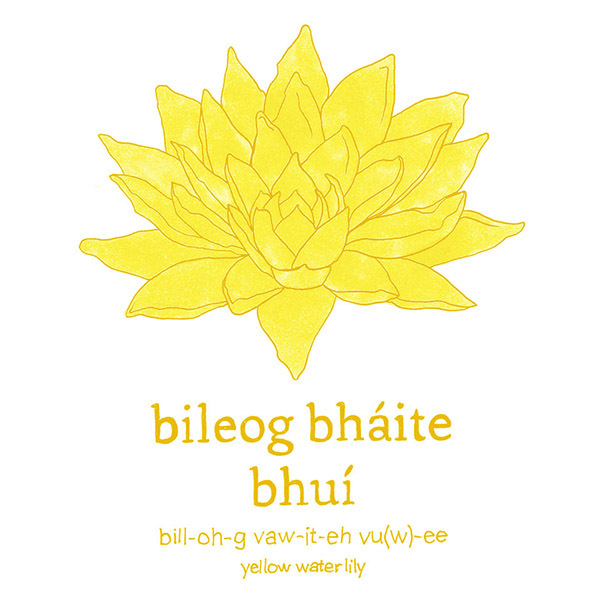 'Bháite' comes from the verb 'báigh' which means to submerge or immerse something, and in this case it describes the beautiful yellow waterlilies grow out of water ponds! This one I am still in the dark about and if anyone reading this known the origin of this proverb i'd be very grateful. 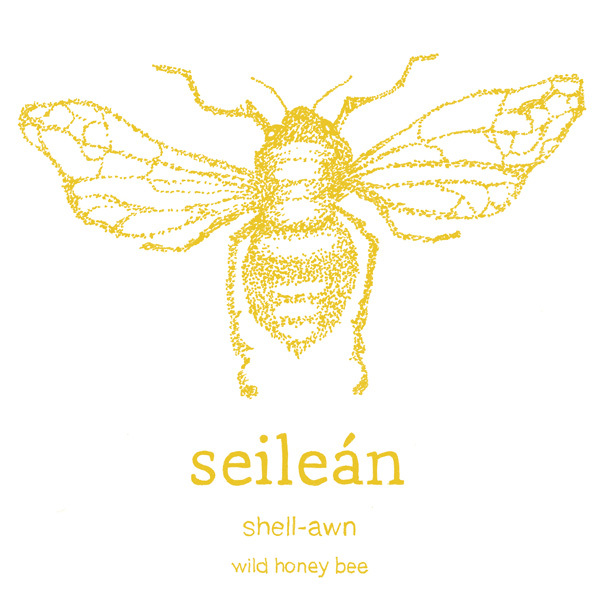 I think it suggests 'the beggar is yellow with little/few', this is just a literal translation of the words so I'm curious about the meaning behind 'buí' / yellow in this phrase. The phrase also meas 'we must be thankful for small mercies' and I feel those two phrases in English have a variation in meaning. The search continues and i'll update here if I find the answer.